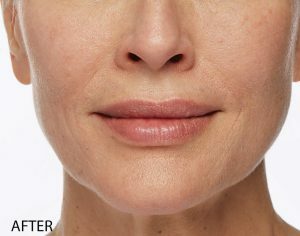 Restylane is a dermafiller gel made from hyaluronic acid, a chain of sugars found naturally in your body. Hyaluronic acid acts as a sponge, holding up to 1,000 times its weight in water. When it’s injected into a specific area, it absorbs water to plump and smooth that area, giving you beautiful, natural results. 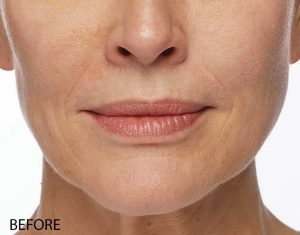 The Restylane family of dermal fillers visibly correct moderate to severe facial wrinkles and folds, provide plumper lips and fuller cheeks. The appropriate product is selected depending on your treatment goals and the treatment area. Anyone over the age of 21 who is bothered by facial lines or aging hands. Tell your doctor if you have a history of thick scarring or severe allergies. You may have temporary swelling, redness, or mild bruising at the injection site, but there is no downtime. It’s helpful to stop taking anti-inflammatories such as fish oil, Advil, and aspirin a week before treatment to minimize bruising. The effects of Restylane have not been studied on pregnant women which means that we cannot administer it to pregnant or breastfeeding individuals. Depending on the area being treated, treatment takes between 15 minutes to an hour. A clear gel is injected into your face using small needles. You may feel a quick pinch each time the needle goes in and a bit of pressure as the filler is injected. Generally, there is no downtime following treatment. You will see a lessening of lines and an increase of volume immediately following treatment, but the full effects of the treatment may take up to a week to appear. Depending on the area treated and the product used, these results may last between six and eighteen months. Lip injection results may not last as long as other areas due to constant movement breaking the product down faster.